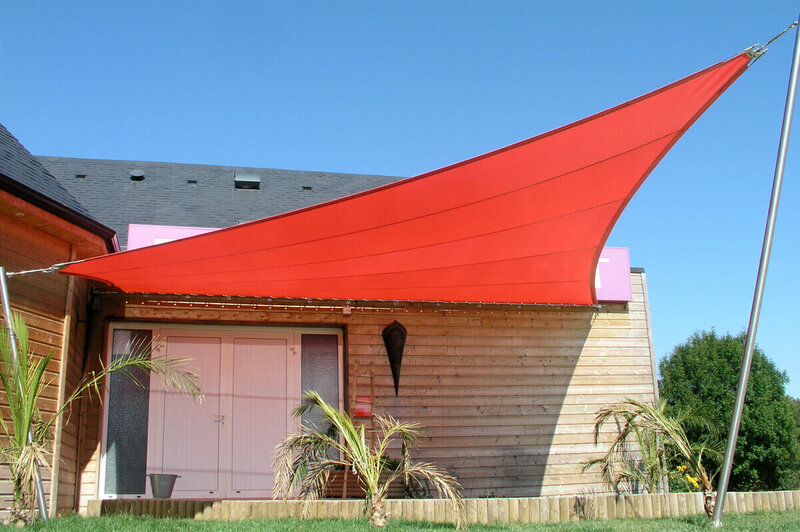 It’s land ahoy with this bright and often colourful shading system that is extremely popular with the education sector. 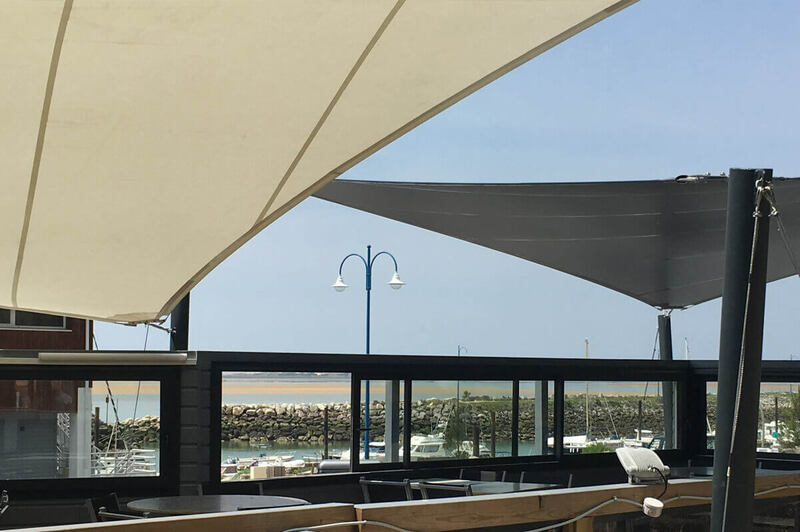 Their striking geometric design is also popular with architects, and you will often see sail shades gracing commercial premises and standing over funky outdoor eateries. They can also be used in home gardens too but will need to be approved for domestic use. 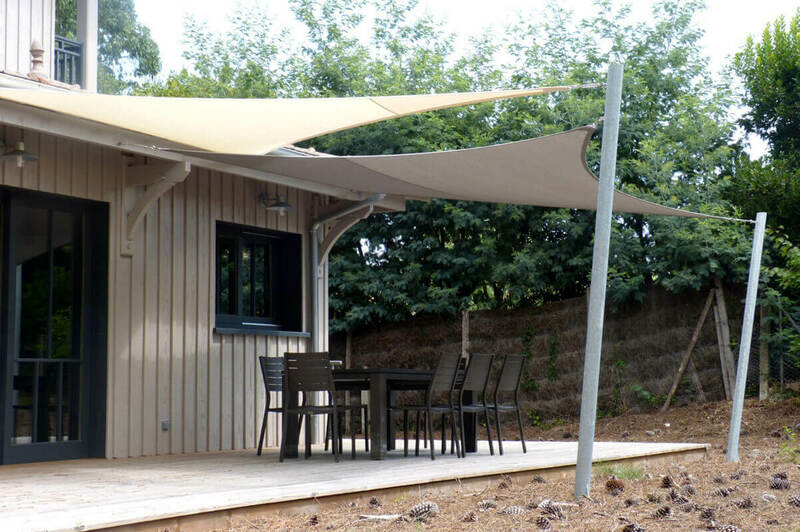 Although they look like they have come off a ship and can be left out indefinitely; they are not the most effective system at protecting users from heavy rain and so are often chosen more for aesthetics and UV sun protection. However, manufacturers often employ the same technology that is used in the manufacture of ships’ sails meaning that they can be extremely robust when they are made with marine-grade fabric and strong rigging hardware. 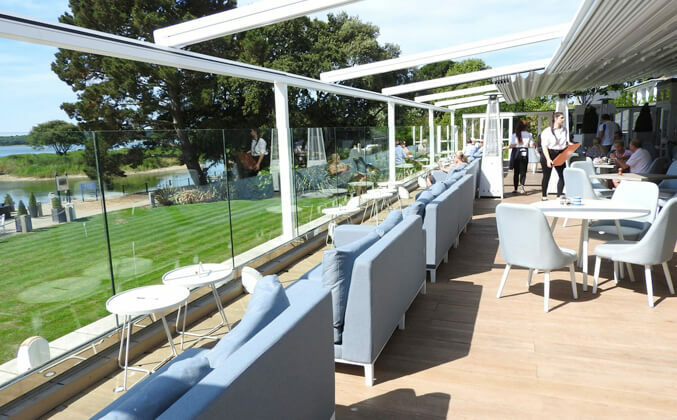 Premium grade products are specifically designed for commercial use and are built to last with minimal maintenance in mind and no re-tensioning required, and they are a visually arresting yet simple system to protect children and adults from harmful UV rays. 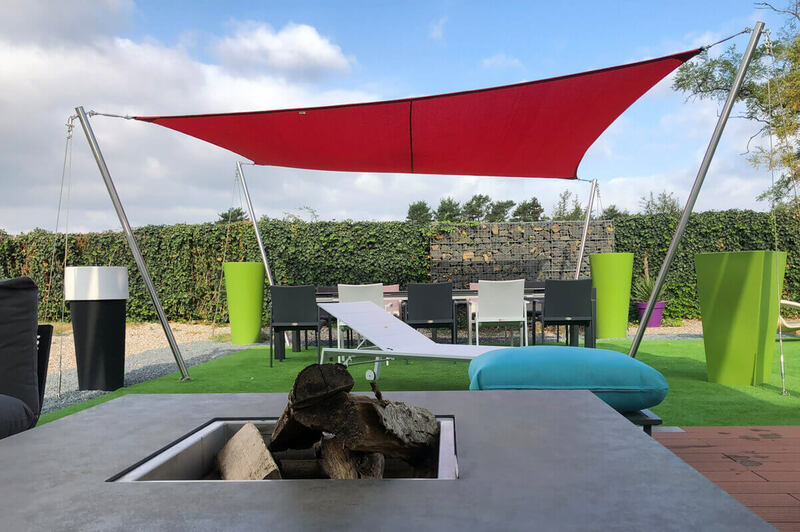 The smaller, brightly coloured sails are often used by small business premises with a young/fun style (there is something very eye-catching and uplifting about a line of gaily coloured sail shades!) 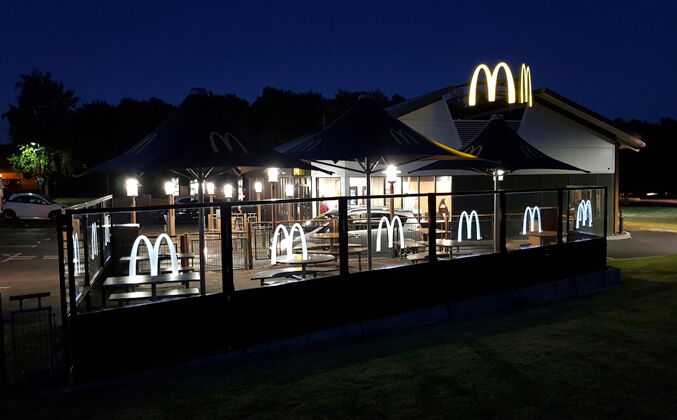 and the larger, more neutral coloured sails tend to be used by large businesses and corporate chains to draw the eye and bring a sense of uniqueness and innovative style that reflects back on the company and their mission. 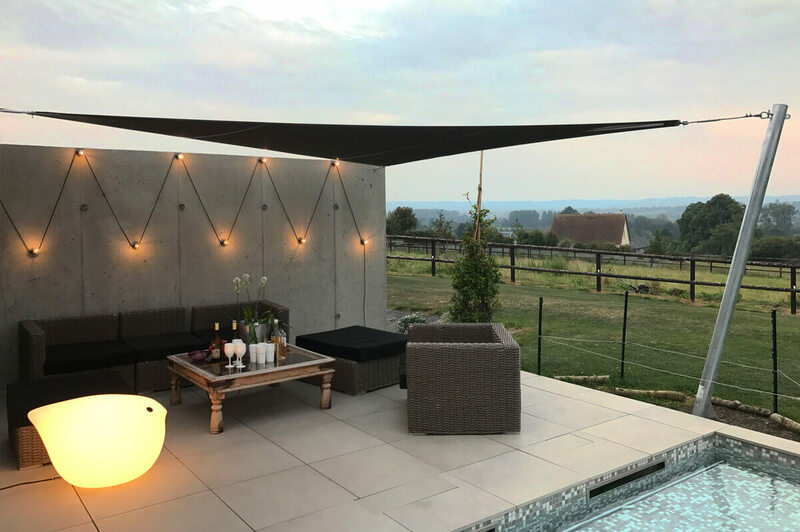 It goes without saying that they would also look fabulous on a marina, pool-side or erected on the decking of a boating club! 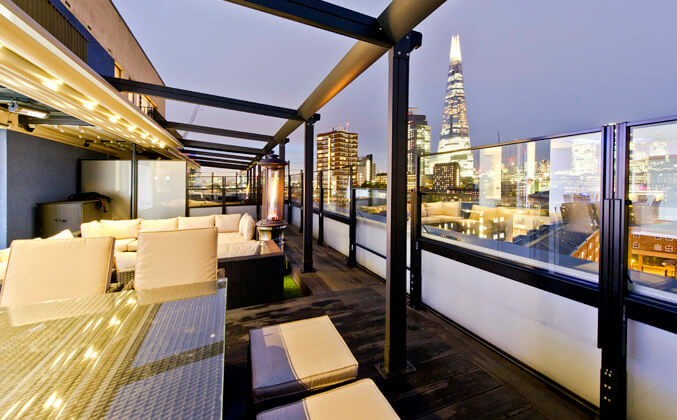 They are also a distinctive way of protecting any kind of trading area too. 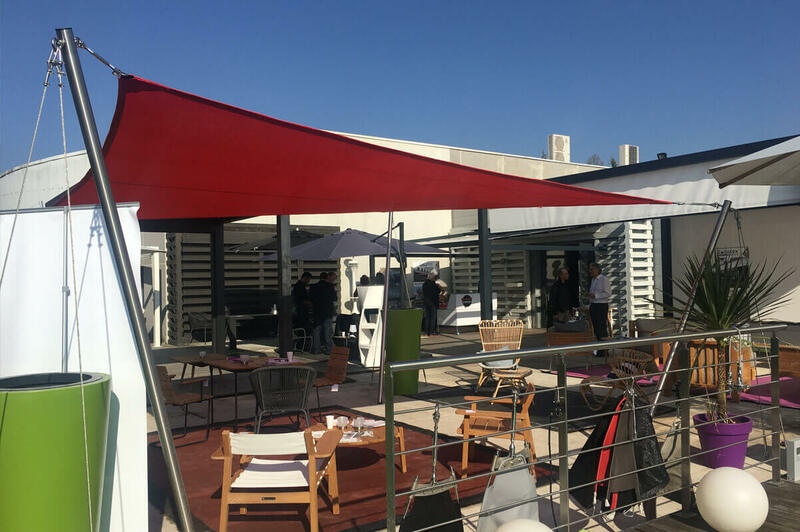 Manufacturers of commercial sail shades can often replace damaged and defective fabric which is a cost- effective way of updating your shading system. 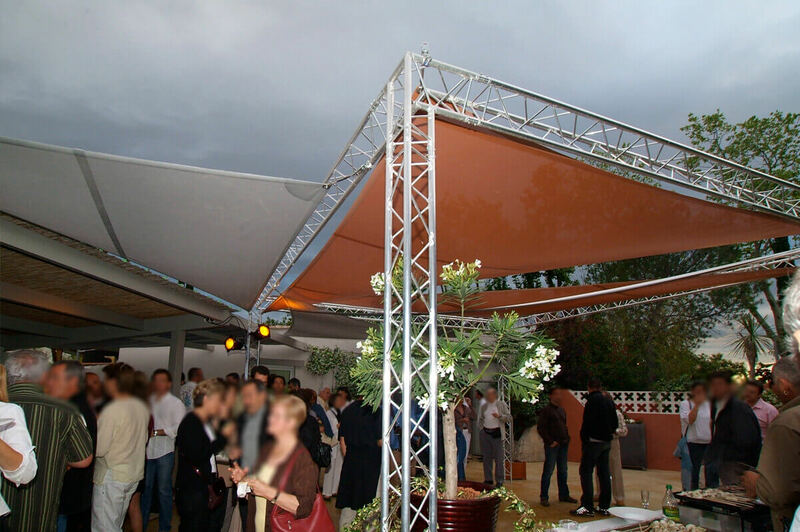 Sail shades have the versatility to cover any space as the shades can be erected from vertical poles or many shades can be arranged in different shape formations on a framework of poles. 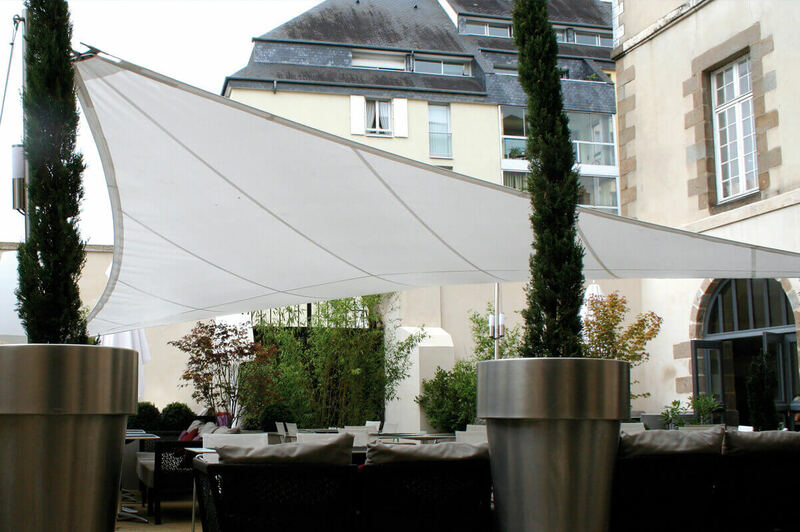 They can also be attached to the side of an existing building using just one pole to create a small “canopy” style covering – ideal for a terrace or even holding a wedding!